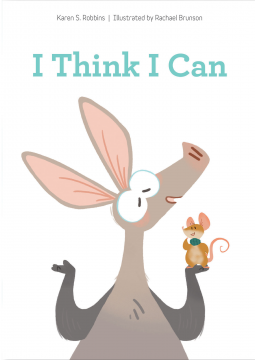 A beginner’s book to read with a friend-I Think I Can by Robbins – Joyce's mystery and fiction book reviews with some non-fiction too! With simple vocabulary and cute illustrations, this early reader is designed to appeal to beginning readers. Ideally, the book is to be read by two children together with each taking a role. Early readers may enjoy showing off their skills with this one. Thanks to NetGalley and the publisher.